Recognize that somebody’s watching you. Many people are, actually. Some are adults who’ve wrestled with a calling for a long time. Others are young people who see you as a spiritual hero and are thinking about their future. Don’t let these folks down—walk humbly and faithfully. Spend time with young people. Some of us began to recognize our calling when older pastors gave us time to hang out with them and see them in action. If you’re never with the students in your congregation, you’re missing an opportunity to influence them for the gospel. They’re much more likely to want to talk to you if they know you outside the pulpit. Teach about calling. I realize that scholars differ on the nature of calling, but you have to do something with God’s calling folks like Abraham, Moses, Isaiah, Jeremiah, and Saul/Paul. Our callings usually lack the dramatic nature of these, but the same God still calls. Tell your call story, and invite others to tell theirs. Be sure your church knows how God called you. Share that story in your church’s membership class. Lead your staff to tell their stories. Invite missionaries on their stateside time to tell how God called them. Such testimonies will push your members to consider their own calling. Intentionally and regularly challenge your members to obey their calling. Apart from a missions conference or collegiate gathering, it’s been a long time since I’ve heard a pastor publicly challenge believers to commit to pastoral or missionary service. The Holy Spirit does the calling, of course, but He uses us as His voice. Start an internship/equipping program at your church. Most seminaries and many Christian universities now offer the possibility of providing credit for these programs. 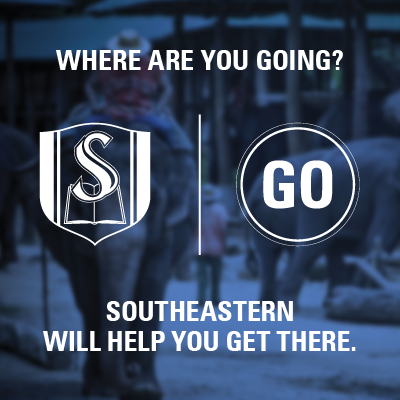 Not only can you “call out the called,” but it’s also possible you can train them and help them earn a degree in the process (and, click here if you’re interested in Southeastern’s EQUIP program). Pastors, call them out. Walk beside them. Train them. Send them out. I want to focus on #2. It is the younger people who today have the widest circle of and the most non-Christian friends. Even if they don’t formally become pastors or missionaries, they can begin by talking to people about God in their daily activities. However, if you don’t talk to the younger people, they start wondering just what a pastor does, who (s)he cares about, and feeling like second- and third-class Christians. What I saw growing up was that someone taught Sunday school every year and since there was no confirmation class taught by clergy, none of us had any interaction with any minister. Some were baptized by a minister but not all were. One time in graduate school, I saw a Sunday school class for univ students taught for 6 months by the sr. minister. Yes, the topics could make people uneasy, but it was interesting. Other than that one time, I never saw a minster have much to do with any group except the older people. Thanks, Mark, for your thoughts.